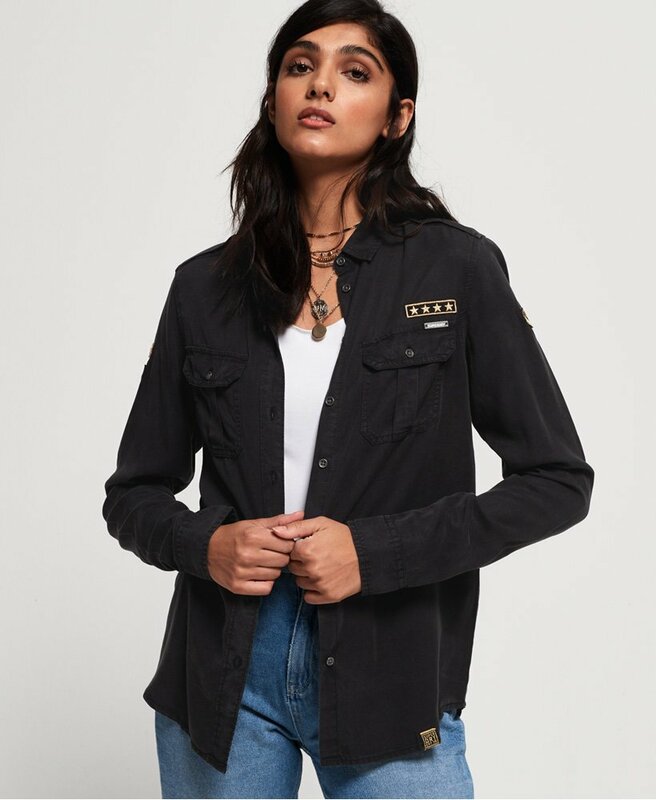 Superdry women's Ramona military shirt. This shirt features a button down fastening, two chest pockets and button fastened cuffs. Finished with Superdry logo badges on the sleeves and chest, a Superdry logo tab on the hem and a a metallic Superdry badge on one pocket.